Florencia Díaz Baeza belongs to the agricultural cooperative Jerovia ha vy’a (Faith and Joy) that gathers nine families in a small village on the Paraguayan countryside. In a country where the state promotes crops that require large amounts of chemical pesticides, the cooperative has focused on organic farming methods and the rescuing of threatened seeds. 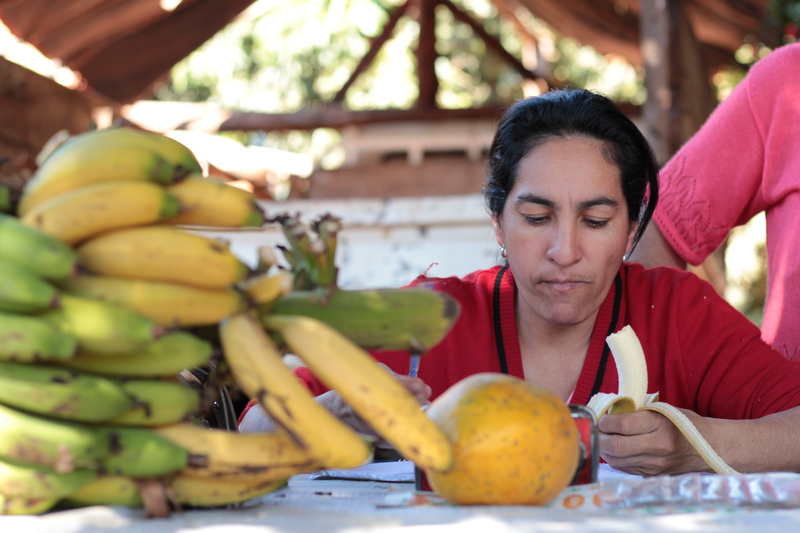 Varieties of corn, beans, root vegetables, bananas and papaya are some of the crops grown on the cooperative Jerovia ha vy’s common land in the department of San Pedro, Paraguay. Everything that is grown here contributes to the cooperative’s self-sufficiency and food security. – Everything we grow here is organic because we have learned to take care of both our health and the earth. 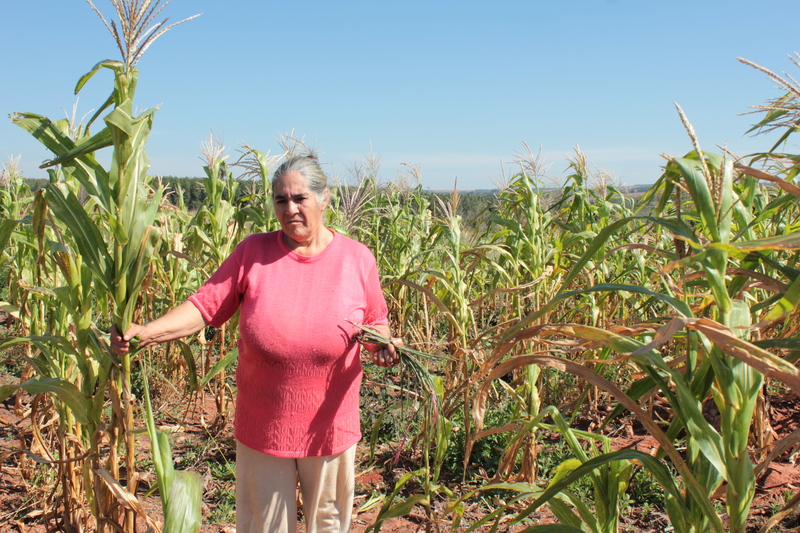 We appreciate and respect the land we use because it gives us life, says Florencia Díaz Baeza, the oldest member of the cooperative. But it is not completely uncontroversial. Farmers testify about different extortion and threat methods by soy farmers. Their crops are poisoned or burned. 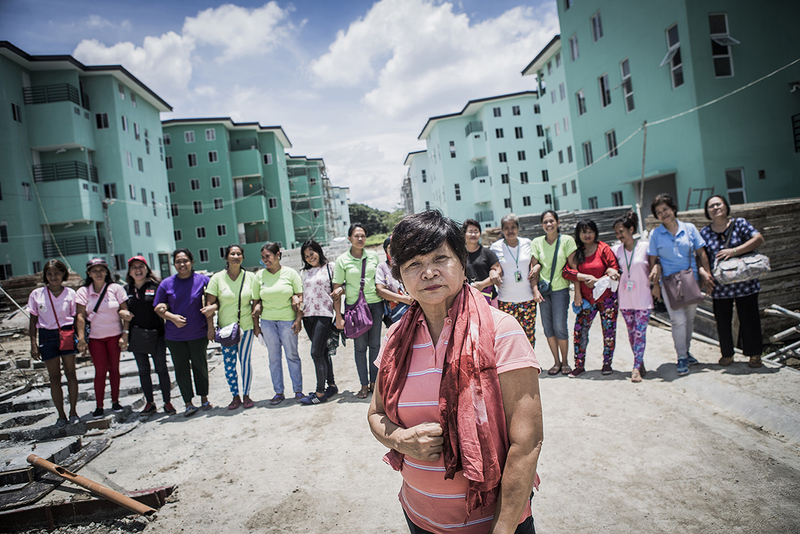 Many have been forced to give up and leave their homes. About a year ago, Florencia’s house burned down in a suspicious fire. – We were lucky we were not here then, I don’t even want to think about what could have happened, she says. 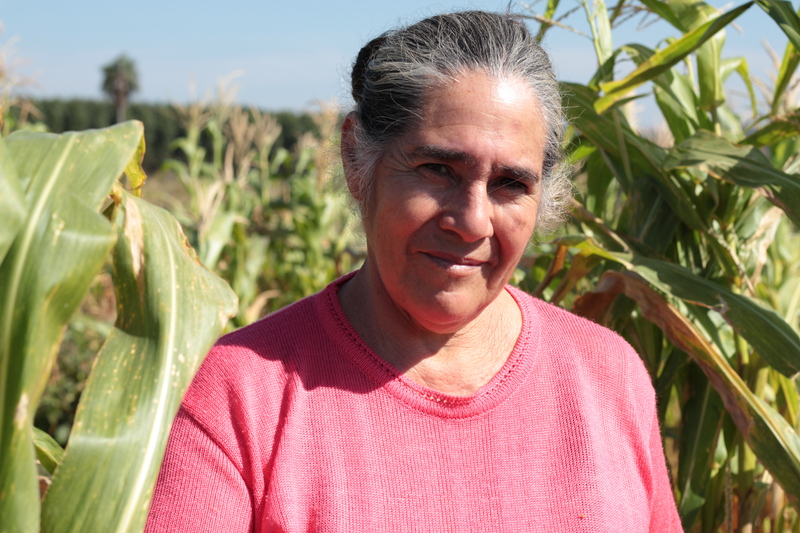 But instead of giving up, Florencia and the cooperative have invested in organic farming. With the support of We Effect, they have learned to cultivate smart and environmentally friendly. – We put great hope to the young people who have been educated, they have gained new knowledge and new opportunities in life. They have learned about saving seeds and the importance of healthy eating. 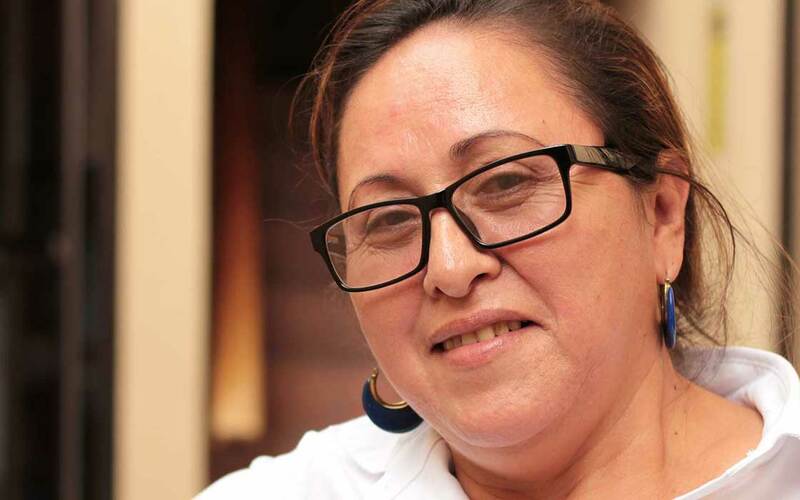 It is a great strength that we could engage the youth in our village, says Florencia’s oldest daughter Josefina Ruíz Díaz, who is a member of the board of We Effect’s partner organization CONAMURI. The work of the cooperative has not only been in developing their agriculture, and resisting the threats of the growing the genetically modified seeds. This work has gone hand in hand with the personal development of and between the members of the cooperative. Courses on gender equality and human rights have been organized for all members. – I as a woman have learn more about my rights and what opportunities women actually have. The courses have also helped us to have a better dialogue with our husbands and our families, says Florencia. Growing organically is taking a political stand in Paraguay. The country’s fertile land, combined with tax incentives for multinational companies, has caused large land masses to be purchased by companies that cultivate genetically modified soybeans. The export of these beans, used in Europe and Asia to feed livestock and fish, account for 22 percent of Paraguay’s GDP and has contributed to the country having Latin America’s highest growth rates in recent years. The crops spread all over the country, repressing Paraguay’s smallholder farmers and indigenous peoples. The large amount of pesticides used for the genetically modified beans damages and destroys adjacent organic farms, animals and humans. 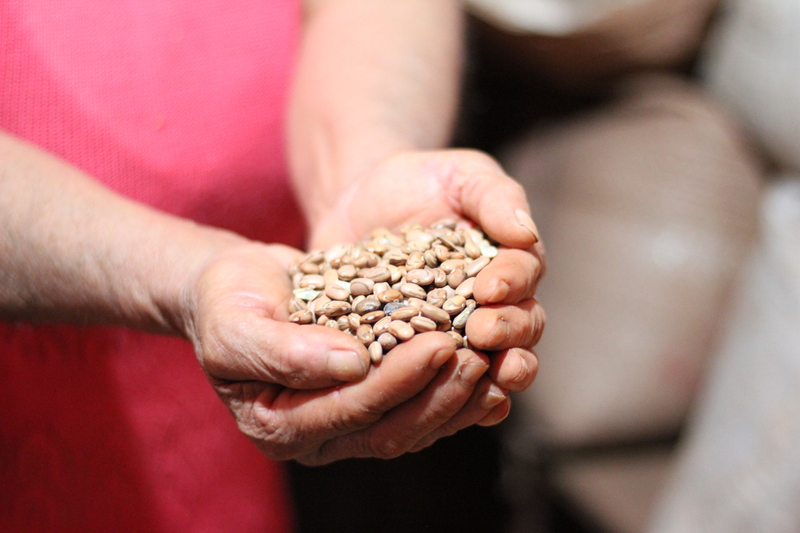 An additional initiative in the path of organic agriculture is the Semilla Róga, which in the original language guaraní means “house of seeds”. Here, seeds are stored which are then grown on the cooperative’s common land. An initiative aimed at preserving and reproducing Paraguay’s increasingly threatened native seeds.